Israel’s 98th Submarine Commando course has ended, marked by a festive ceremony in the Israel Navy Base in Haifa. The new maritime fighters were granted their ranks and sailors' pins following their successful completion of the year-long course, which included three parts: Basic training, submarine systems, and small boats; advanced training in specific areas; and hands-on operations. The Submarine Commando is a volunteer unit. Correspondent Haggai Huberman reports that the graduates will assume combat positions in detection, navigation, machinery, communications, control, weaponry, and sonar. They will take up their new roles as early as next week. 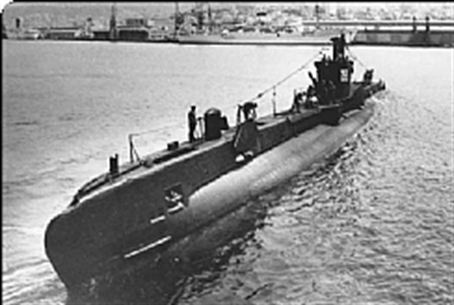 The objectives of the Submarine Commando is to destroy enemy ships, ensure control of port entries, espionage, and provide aid to other Israeli forces. The Navy’s Dolphin subs are among the most advanced conventional submarines in the world, and are the IDF’s most complex and expensive items.